We’re tired of hearing folks in DC say, “Drain the swamps,” because swamps are actually really, really valuable. 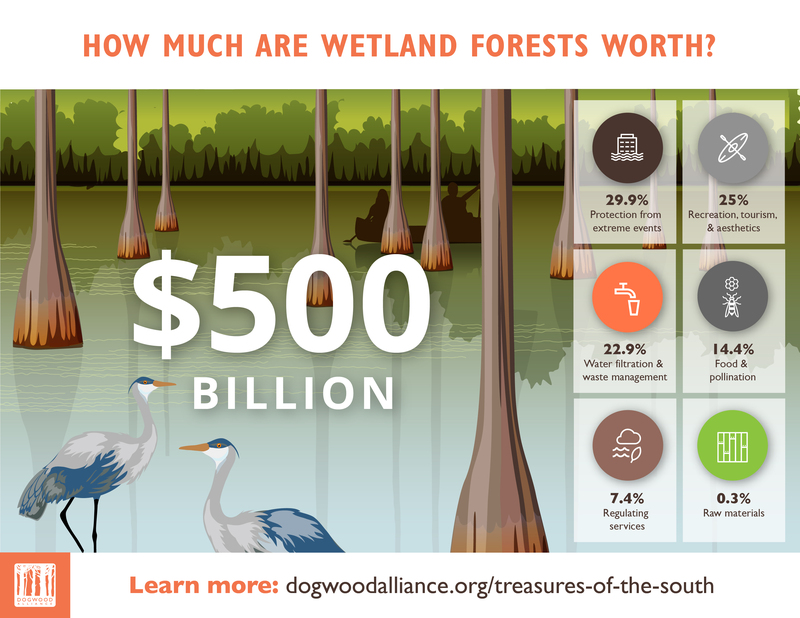 Our Southern wetland forests are worth $500 BILLION. While you can’t put a price tag on healthy families or the way you feel when you’re in a wetland forest, things like water filtration, tourism, protection from extreme weather events, timber, and food have a real dollar value, and people need to know that! Watch and share our Treasures of the South video! The logging industry wants us to believe that forests are only worth something when they’re cut down and turned into wood products, and that is a lie. Wetland forests are worth FIFTEEN TIMES MORE standing than logged. 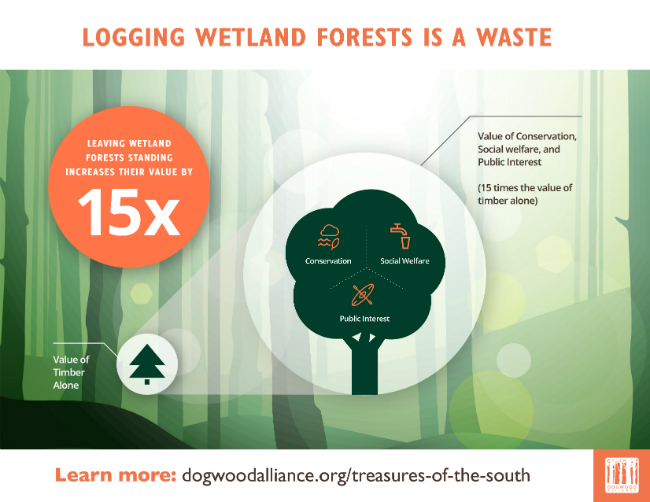 No matter what the logging industry says, the fact is that standing wetland forests keep jobs and wealth in their states and communities in a way that logging never will, and the world needs to know the truth. Share our Treasures of the South video! Call on your governor today to invest in the health and wealth of the people and wetland forests in your backyard!